FISHING -- A decision by the U.S. Army Corps of Engineers to begin dredging a silted-in shipping channel in the Snake River near Lewiston is facing a court challenge by Northwest fishing and conservation groups and the Nez Perce Tribe. The groups said in a media release that they're "taking legal action against costly, illegal dredging on the lower Snake River aimed at propping up an outdated, environmentally destructive, money-losing waterway." Earthjustice, a non-profit environmental law firm Earthjustice, filed a complaint Monday with Seattle's U.S. District Court challenging the Corps' approval of a $6.7 million lower Snake River dredging project scheduled to begin in mid-December. The legal action is backed by Idaho Rivers United, Pacific Federation of Fishermen's Associations, Institute of Fisheries Resources, Washington Wildlife Federation, Sierra Club and Friends of the Clearwater. A larger group of fish and river advocacy groups had filed these comments on the Environmental Impact Statement for the Corps plan. Dredging behind lower Granite Dam is the centerpiece of the U.S. Army Corps of Engineers Walla Walla district's ill-advised plan for maintaining the little-used barging corridor between Pasco, Wash., and Lewiston, Idaho. Though shipping on the Columbia River waterway remains robust, traffic on the lower Snake is so low that it qualifies for the Corps' own "negligible use" project category. The Corps' Walla Walla District released its draft sediment management plan two years ago, asserting that dredging would provide $25 million in benefits but offering no supporting economic analysis. Despite thousands of comments noting the plan's glaring errors and omissions, the Corps last week issued a record of decision adopting the plan. The agency immediately signed a contract with a dredging contractor to begin work Dec. 15. "The lower Snake waterway exacts an enormous price from taxpayers as well as from wild salmon, steelhead, and Pacific Lamprey", said Earthjustice attorney Steve Mashuda. "The Corps has failed to look at any alternatives to dredging this winter, and fails to provide an honest assessment of the fiscal and environmental costs involved in shoring up this out-of-date waterway." "These four dams are responsible for pushing the Snake River's wild salmon and steelhead to the edge of extinction." said SOS executive director Joseph Bogaard. "Climate change and other factors are making the lower Snake River dams ever more deadly to migrating fish while the economic justification for this waterway is slipping away." Over the past 15 years, the lower Snake waterway's freight volume has declined 64 percent as farmers and other shippers move their products to trucks or rail. Maintenance expenses, meanwhile, have surged. 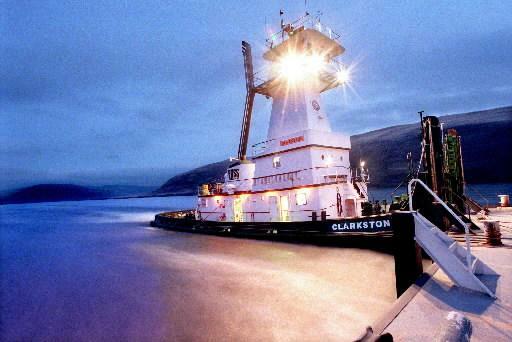 Lewiston faces a chronic crisis of sedimentation and U.S. taxpayers now effectively subsidize every barge leaving Lewiston to the tune of about $18,000. Navigation is the primary purpose of these dams. They generate significant power primarily in the spring, when power demand and prices are low and the Northwest is awash in hydropower-- so much so that wind farms are often forced to shut down. "Every year, the federal government spends increasing amounts of tax dollars to prop up four obsolete dams on the lower Snake River," said IRU Conservation Director Kevin Lewis. "Our specific claims include violations of the National Environmental Policy Act, and the Clean Water Act." "Little thought has been given to the long-term economic and environmental consequences of long-term dredging," said Gary MacFarlane of Friends of the Clearwater. Good! If they removed those four dams, within two decades they would have a million + annual springer run returning to Idaho. Those annual returns would pump millions of dollars yearly into every local economy from Astoria, Oregon to Challis, Idaho. Not to mention the tax saving of the $700 million per year that The Corps is spending in salmon mitigation that benefits almost no one. If we reenforced our rail infrastructure, rather than subsidizing a failing barge industry, it would be a boon to the wheat industry. I was talking to a GM of a company that runs multiple gain silos. He said that they try place their facilities about twenty mile apart because farmers only want to drive about 10 miles to deliver their grain. They turn their satellite silos over multiple times per week during harvest. Very few farmers deliver directly to the ports. That means that most wheat is already being handled multiple times in order to get to the few ports along the Snake River. The new state-of-the-art rail depot at Rosalia serves as a model for the future of efficient grain shipment.